The <climate> is not good for Russian JI projects? By the end of the first period of the Kyoto Protocol Russian "carbon stock" will be about 6 billion tons of CO2 equivalent, which in case of non-participation in the second period will simply return to zero. The volume of non-received climatic resources of the country in case of suspension of the Joint Implementation projects (JIPs) since 2013 is estimated at about 1-1.5 billion dollars. Immediately after the end of the climate negotiations in Durban, Russia's position on JIP was announced at the press conference in RIA Novosti by the presidential advisor on climate Alexander Bedritsky (http://ria.ru/press_video/20111219/520839733.html). According to him, by continuing the Kyoto Protocol the EU sticks to the money, not to the climate, and with the help of the JIP it can pull the strings, controlling other countries. "In a broad sense there is no interest for Russia in it – there is some private interest of those who work in these projects, but they do not coincide with the principal and global interests" - he said. The climate adviser did not explain what the threat of the joint implementation projects towards the interests of the global climate was. It is not clear why the issue of economic interests comes in conflict with the global environmental interests regarding JIP. By now, according to the fixed procedure, each JI project must be supported by specific reductions of greenhouse gas emissions. In other words, reducing emissions directly allows mitigation of the negative climate change. At the same time, on the one hand, JIPs fully match the state guidelines on energy saving and energy efficiency basing on the most advanced and innovative technologies given by the President. On the other hand, they contribute to the entering of Russian companies to the new international market and to the inflow of the additional funds into the economy and the state budget, which means real money to invest in the new technology, modernization and upgrading of the economy. In addition to that – there are bonuses in form of tangible technologies and mechanisms to control the climate change. And all of it – at the expense of pure investments instead of loans and credits that need to be disbursed. The results of the JIPs, by the way, lay entirely within the sphere of the goal-setting process of the general climatic process. According to the UN General Secretary Ban Ki Mun, one of the functions of the Kyoto Protocol is to give the "green" signal to the markets. What is the other way for the mankind to reduce its negative impact on the climate except for correction and modifying the economic structure, and through it - the sphere of production and consumption? The refusal of entering into the second commitment period of the Kyoto Protocol and JIP hardly can be called logical and pragmatic action to implement the state interests. A good legislation base for implementing JI projects was created in Russia. Now there are about 90 JI projects with a total effect around 150 million tons of CO2 (for all years of Kyoto-1, covered by our projects) with an estimated volume of received climatic funds of 1-1.5 billion dollars. There had been some reasons to expect at least the same sums after 2013. They are relatively small within the scale of Russian economy, but what is the reason to lose this money and to stop the projects? The news about the suspension of the JIPs was negatively evaluated in the regions – Russian territories have lost opportunities for financing specific projects on utilization of associated petroleum gas, renewable energy, energy saving and efficiency, reforming the forest management. "Russia’s policy regarding JIP activities looks like action of a passenger who had bought a ticket and then got off the train and started walking" - said Valeriy Anufriev, director of the Ural Center of Energy Efficiency and Environment (Yekaterinburg). Businessmen are not going to put up with the actions of the Russian negotiators either. According to Kommersant (http://kommersant.ru/doc/1842748), Russian Union of Industrialists and Entrepreneurs (RSPP) is preparing an appeal to reconsider "unconstructive" political position of the government. According to the Environmental Committee of RSPP, by the end of the first period of the Kyoto Protocol Russian "carbon stock" will be about 6 billion tons of CO2 equivalent, which in case of Russia’s non-participation in the second period will simply return to zero. 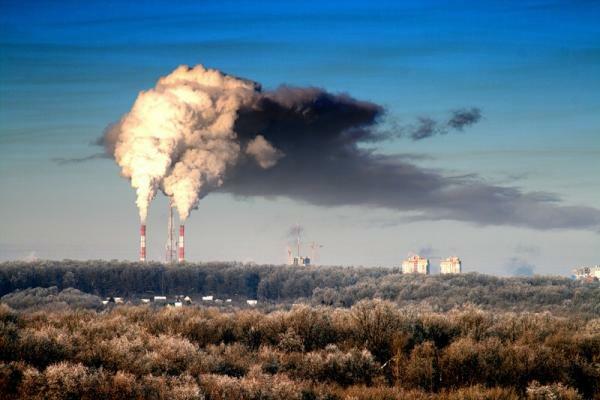 "It is extremely important to keep afloat market instruments that have been created in the first period, while participating in the development of the new ones - otherwise these will be created ​​without regard to Russian interests", - said Michael Yulkin, the head of the working group on climate change of the environmental group of RSPP. When one or another country does something to harm itself, it always evokes suspicions at least about incompetence of its authorities. Therefore, we can just hope that Russia's decision on Kyoto-2 will be reviewed.